At 7a.m. 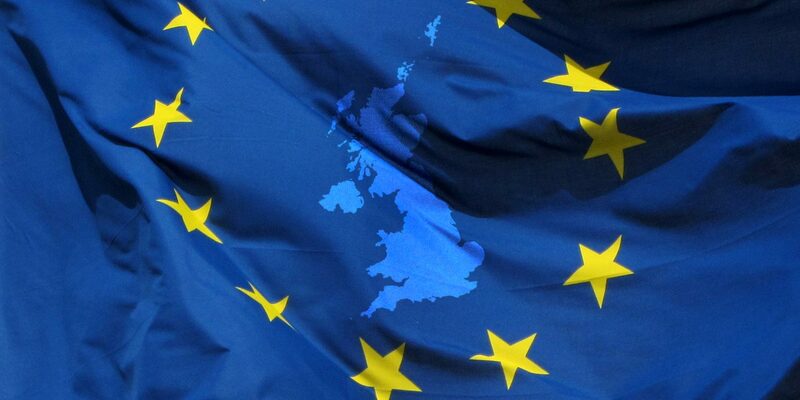 today (June 24) I tweeted that the outcome of the UK’s referendum on EU membership had changed my mind: I would now vote Yes to Scottish independence and Scottish membership of both the EU and the euro. This drew a pretty favourable response, including from one Scottish cabinet minister, and, just a few hours later, Nicola Sturgeon, Scotland’s first minister, indicated she had begun consultations on the legal process for #indyref2. And she clearly had enlisted Sadiq Khan, London’s new (Labour) mayor, onto her side in demanding a defined role for both Scotland and Britain’s sole metropolis in the tortured negotiations that will ensue to disentangle the UK from the EU in terms of membership. (This time the response is already infinitely more favourable than it was in 2014). The two areas that voted most positively for Remain are very different ethnically and economically but share a common view of a country/city’s place in the modern world that is decidedly not Little England or Greater Albania as Michael Gove would wish for. I, like a lot of people, am very angry that a disreputable campaign, based upon multiple lies and led by a pro-European without any principle other than his own self-aggrandisement – one who “sacrificed a million jobs to get the one job he wanted” – may have the long-feared-for domino effect and prompt referendums across Europe mounted by populist, nationalist xenophobes. At 71, a lifelong European and social democrat, I’m enraged too that the UK’s young people (those under 50 but, most of all, those aged 18 to 25) voted overwhelmingly for an open, tolerant UK in Europe – and people of my age, elderly white reactionaries living in non-immigrant areas, betrayed them. Boris Johnson’s weasel words about ensuring that these young people can remain proud Europeans carry the stench of hypocrisy. And I’m angry that Jeremy Corbyn, in whose constituency party I once served very actively, ran so utterly useless a pro-Remain campaign to the point that one wonders whether he voted Leave in the privacy of his Islington North polling booth. His BBC Radio 4 Today interview and its talk of anti-austerity and working class alienation from rich elites and disenchantment with inequality – not wrong in itself – was the final nail in the coffin. Little wonder that two Labour MPs have tabled a motion of no confidence in him (and many more are backing it). Scottish Labour’s leader, Kezia Dugdale, can be exonerated from all blame for this débacle. She made among the most compelling cases for UK membership of the EU as a bulwark for employment and other rights as well as shared values – more so even than Sturgeon. I have argued for Scottish Labour to be autonomous or at least explore the option of being like the Bavarian CSU to Merkel’s CDU – and will push that case even more passionately now.It is now an option being considered by the party’s Scottish executive while UK Labour is consumed by a) the drift of its core northern English vote to UKIP and b) a new phase in the war over Corbyn’s leadership. The entire referendum campaign has been predominantly a Tory civil war and, now that David Cameron has resigned, the bloodletting will continue. The fact that both he and Corbyn may well lose their jobs underlines the huge failure of the centre-right and centre-left parties, the UK versions of Volksparteien, to devise a convincing narrative for the world of globalisation and digitalisation, financial crisis and huge inequalities. The post-war settlement in the UK has finally collapsed – and is under siege all over Europe. This means for my generation a categorical imperative to help find both a new way of combining the transnational (like the EU) with the civic national (like Scotland) and, above all, reinventing European social democracy and reviving the Enlightenment values behind it as the guiding force to prevent a retreat into ugly hatred and violence. We’ve had it too comfortably easy for too long…time to give back. So, if and when Scots get a second bite at the independence cherry in, say, 2019, I’ll vote Yes, hope that Scottish Labour as well as the SNP and Greens does too – and campaign for Scotland to be the replacement 28th member of the EU. There may well be, indeed are, economic, monetary and political difficulties associated with those steps. But analysis of these can wait for later. Right now, this is a moment for political rage. Since this post first appeared on Social Europe the economic case against independence has been re-booted and re-rehearsed by a range of No voters/commentators. It’s obvious that the currency question is wholly unresolved but, as a long-standing EU observer who worked many years in Brussels, it’s clear to me that an independent Scotland would not be able to take the Swedish option but would have to join the euro – like the A10 countries that have joined since 2004. That means, under the current pro-austerity, neoliberal economics still in sway at the Commission and within the eurogroup (but not at the ECB), accepting tough measures to reduce the (current, estimated) £14.9bn budget deficit etc. But the old argument that an independent Scotland would be immeasurably worse off outside the UK no longer holds water: as Martin Wolf (FT) and others have argued, a post-Brexit UK will be seriously impoverished. The short-term economic prospects for Scotland may be on the downside but the medium- to long-term ones within the EU and euro positive: greater FDI, increased exports to EU, relocation of financial services and manufacturing here. Of course, it would be a leap in the dark. But, then, #Brexit is a leap into the abyss. As a Scot who has spent 40 of his 60 years outside the UK in Ireland, Germany and for the last 10 years France, I can only agree. – if the UK had been a proper federal state then Scotland and London (and other major English cities) could not be over-ruled: there would be ‘blocking’ rules on important constitutional change. As it is the UK has de-legitimised itself in Scotland, and probably London as well. One way or another after 300 years the UK is over. – it is also clear that young people overwhelmingly understand what ‘Europe’ is, and the old national divisions of the 19th century are for them simply bizarre.